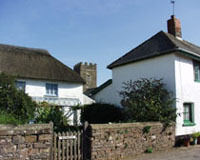 It is generally believed that Puddington originated with the Saxons who occupied what is modern Devon as part of "Wessex". 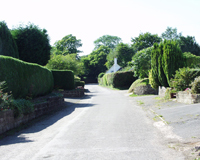 The name of the village is thought to be derived from "Putta's Tun", a settlement or farm belonging to a Saxon chief. It is interesting perhaps that Croyde in North Devon takes its name from a Saxon called Crydda who is thought to have landed at Croyde Bay, "in the company of a fellow warlord called Putta". 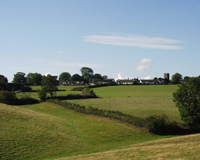 Puddington has a long history and is recorded in the Doomsday book of 1086 with the name "latinised" to Potitona, the lands are recorded as held by William de Capra. Many of the property names seen today have existed for 700 years and more although the spellings have varied greatly over that time. 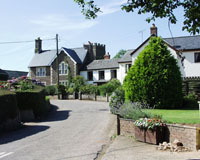 Yowlestone is mentioned in 1086 but Ash, Bamson, Buckford, Coombe, Pitt, Pulsfordware, Raddiford, Scotsham and Smynacott have all been recorded at least since the early 14th Century. 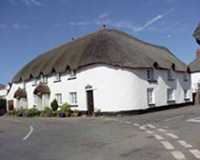 The village has retained some standing over a long period being recorded on old maps of Devon by William Camden (1551-1623), the original latin text being translated by Gibson in 1695. These maps and others clearly show Puddington although several of our modern neighbours are not mentioned. The population of Puddington has been quite stable for the past decade after some historical ups and downs. There was an odd peak in 1851 when the village population grew to over 200 but by 1901 this was down to 170. The decline continued throughout the first 70 years of the 20th century to a low of 117 in 1971. 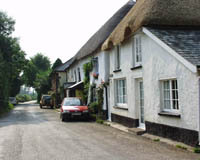 Since then the village has almost doubled in size with more than 30 properties being added and the Devon County Council population figure for 2012 was 188. The Puddington School building was built in 1866 by Peter Blagdon although a school of some kind has existed since at least the mid 17th Century. 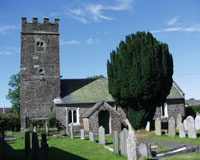 The school finally closed in 1951 and in 1956 was presented to the parishioners for use as a Village Hall by a descendant of the original Mr Blagdon. Ironically the bakery, shop and post office have all closed as the village has grown and Puddington now has no retail outlets at all. Nevertheless modern Puddington is a very pleasant place to live, a quiet village but a close and active community.